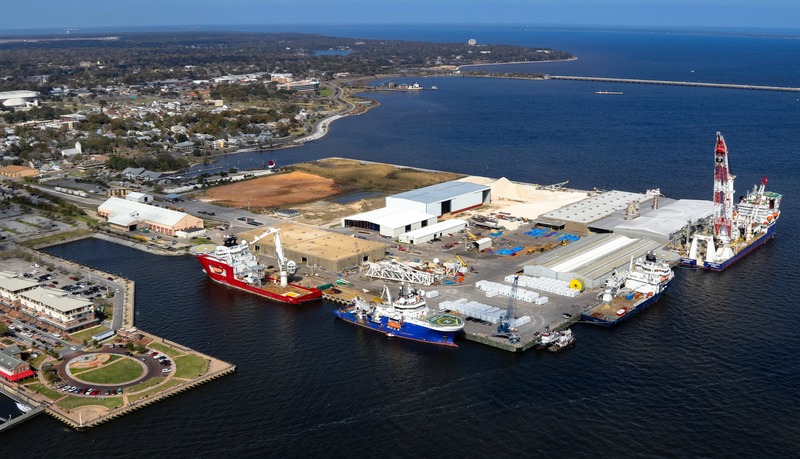 Port of Pensacola is an enterprise of the City of Pensacola and strategically positioned in NW Florida with direct access to the Gulf of Mexico. Northwest Florida’s most diverse and business focused deep-water port. Port Pensacola is a full service deep water port offering stevedoring and marine terminal services for all types of cargo. Approximately 13+ acres of undeveloped land suitable zoned Industrial and suitable for light manufacturing, fabrication, marine maintenance and repair, with over 265,000 square feet of indoor warehouse space available for redevelopment to meet user demand or activity. The Port is supported by CSX Class 1 rail service, is minutes from the I-10 interstate system, and is part of the Gulf Intracoastal Waterway (GIWW) system. Eight berths ranging in depth from 16 to 33 feet, including 2,360 linear feet of primary deepwater berths, 1,000 linear berths are supported by 1,2000 linear feet of rail trackage. 4 acres (+/-) available for laydown, staging and short-term outside storage of marine cargo only.